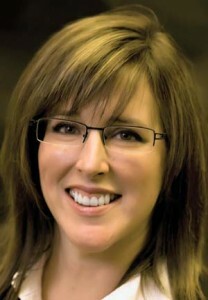 Delta Dental of Idaho has named Cindy Smith-Putnam as the newest member of its board of directors. ﻿ Smith-Putnam, executive director of business development, marketing and community relations for Eastern Idaho Regional Medical Center, was appointed by Delta Dental’s 13-member board in November. Smith-Putman brings more than 12 years experience in the health care industry to the position, as well as knowledge and experience in business, communications and strategic planning. “Cindy’s background and expertise will help to expand our board’s collective knowledge and strategic vision for the company,” said Jean De Luca, Delta Dental of Idaho president and CEO. Congratulations Cindy! You deserve this position. I know you'll be a wonderful addition.